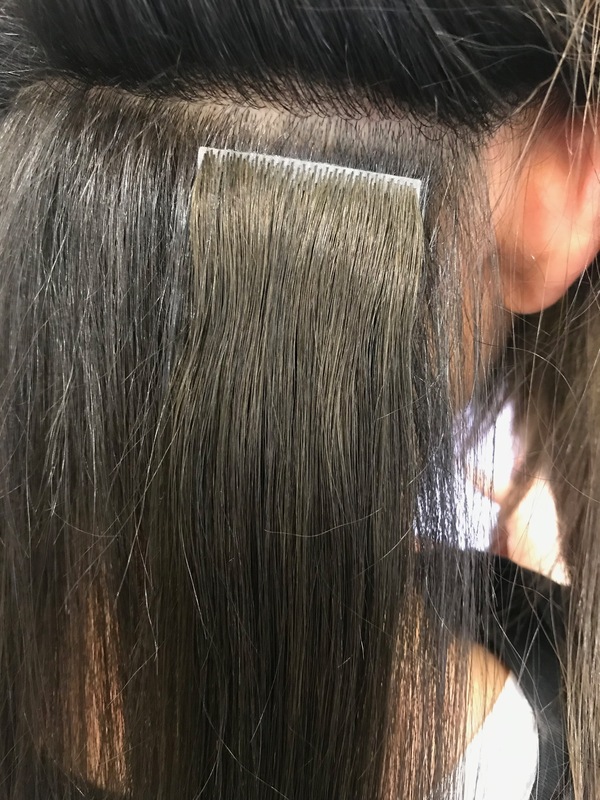 We are pleased to announce that we have added Beauty Works Invisi®-Tape extensions to our hair extensions salon in London. 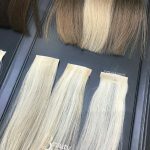 Beauty Works have won ‘Best European Hair Extensions’ by the Hair Awards 2018. 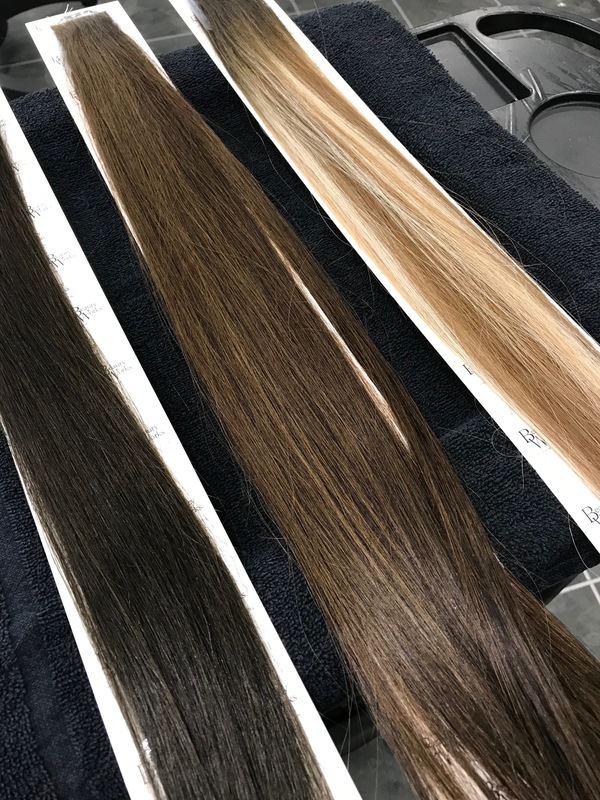 Being one of the first salons in the UK to use the tape extensions method, we are always looking for the best quality hair. 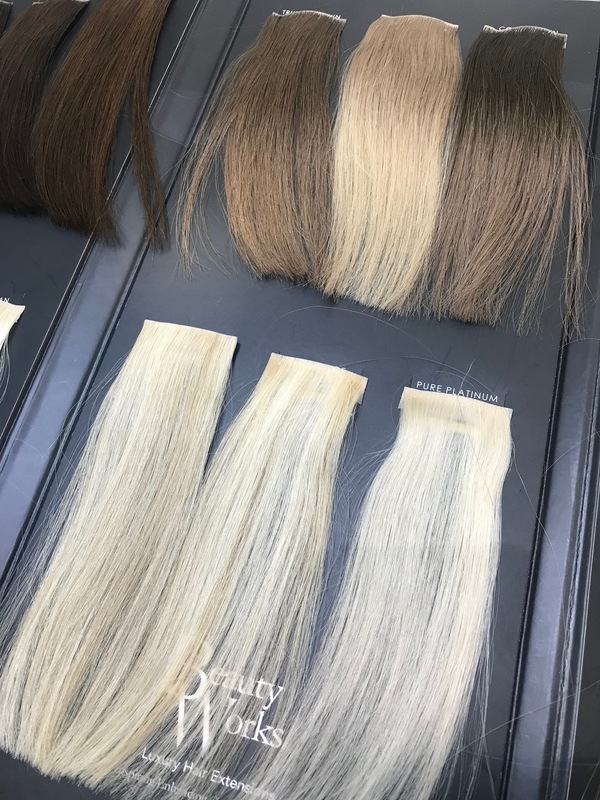 The great thing about these extensions is that you can get creative with the different colour range. 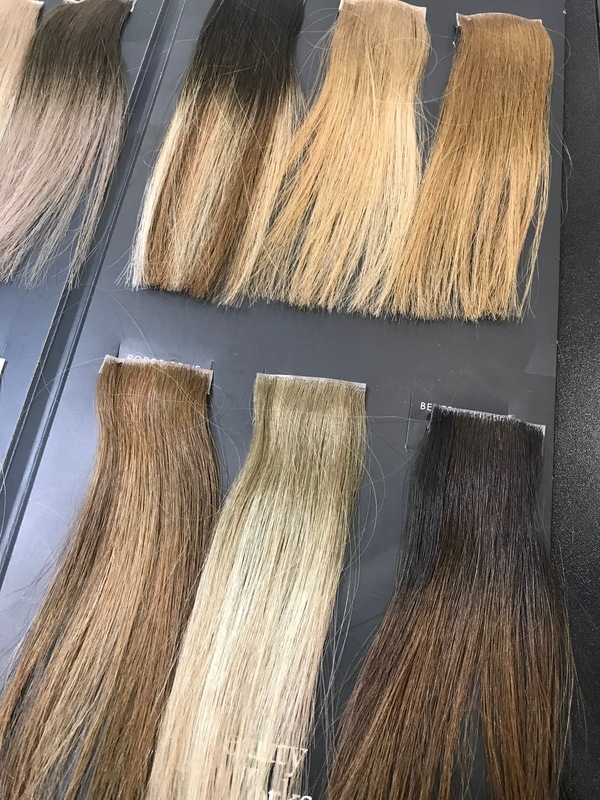 So many of the colours are already mixed so you can get that perfect blend to match your own hair colour including adding in some balayage effects with darker roots. 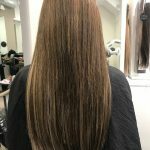 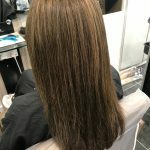 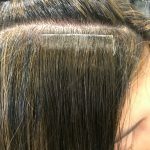 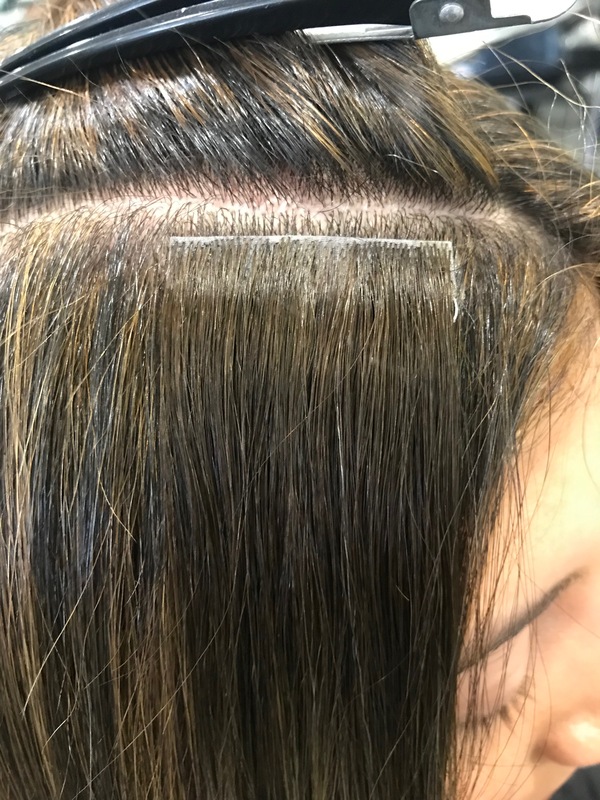 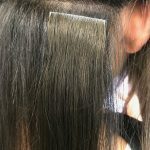 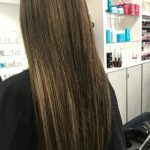 The base of the extension is hand tied replicating natural growing hair which blends in perfectly with your own root hair and makes it invisible to the eye. 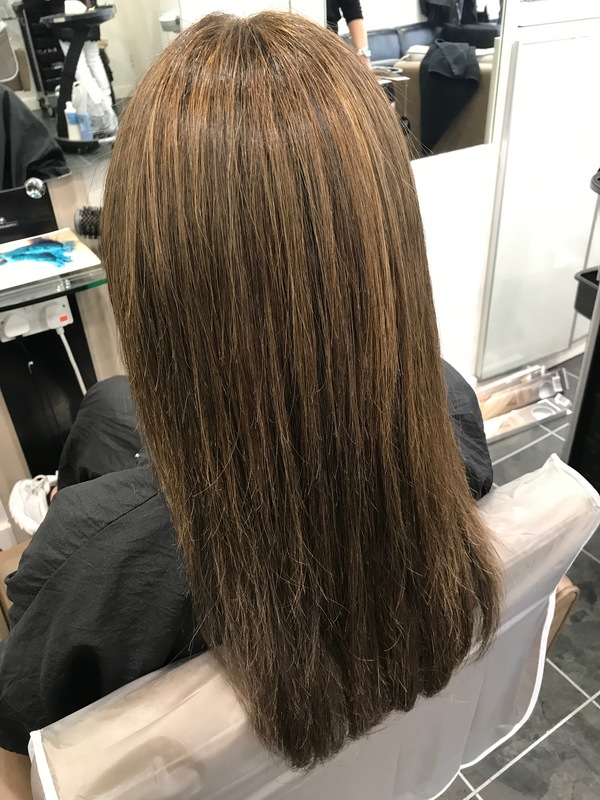 As you can see in the pictures, we used three different blends of colour including the cappuccino colour which gives a lighter balayage colour to the ends of the hair. 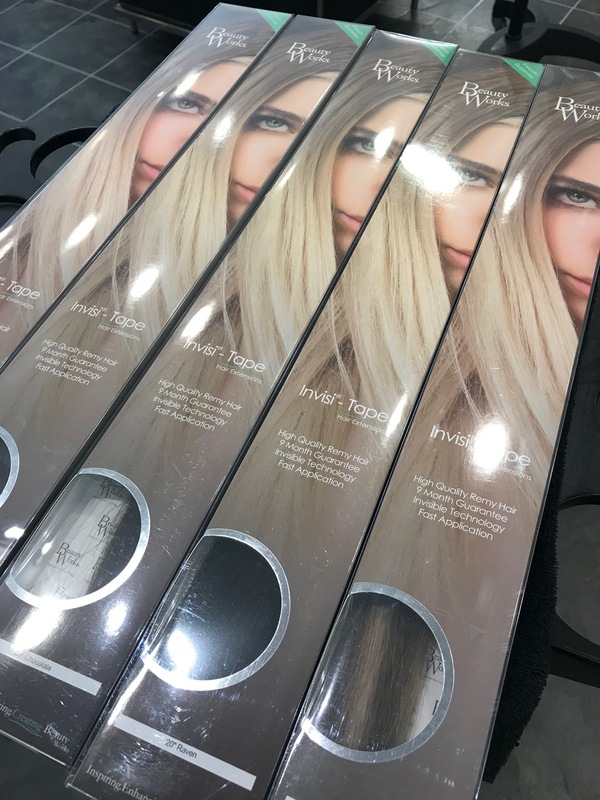 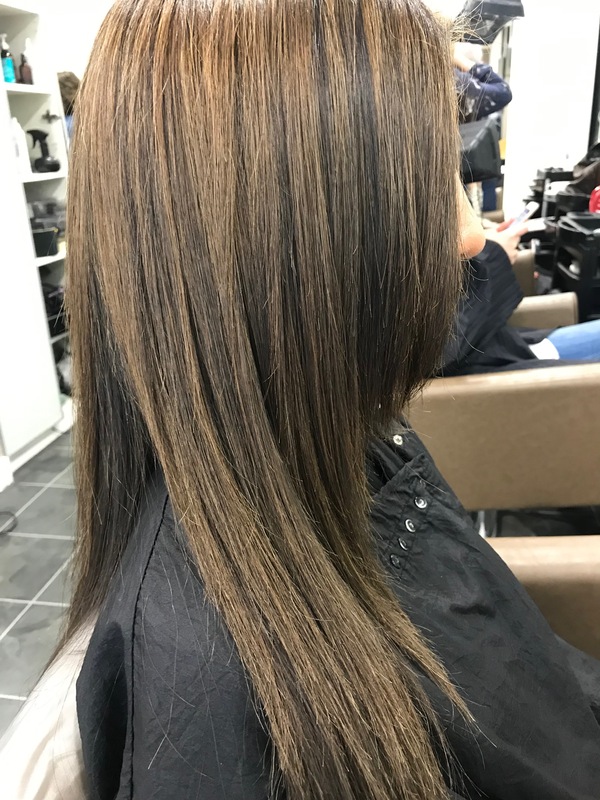 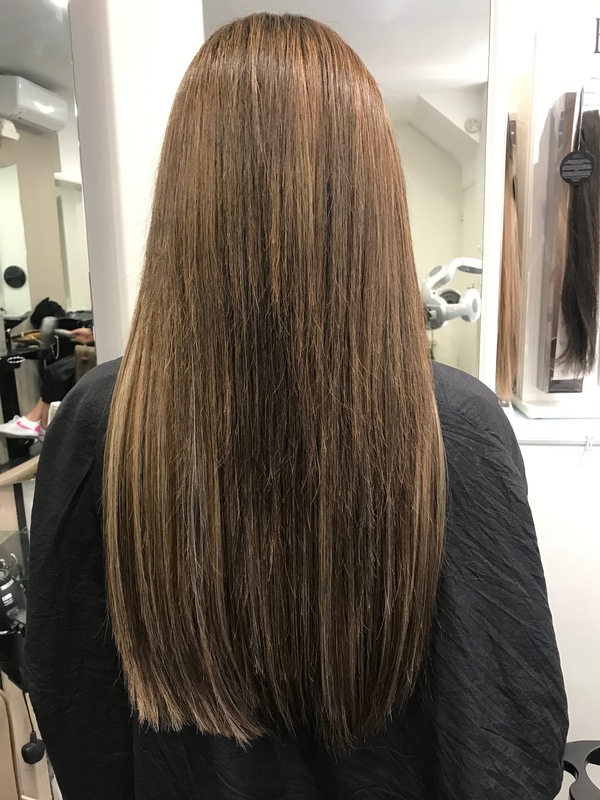 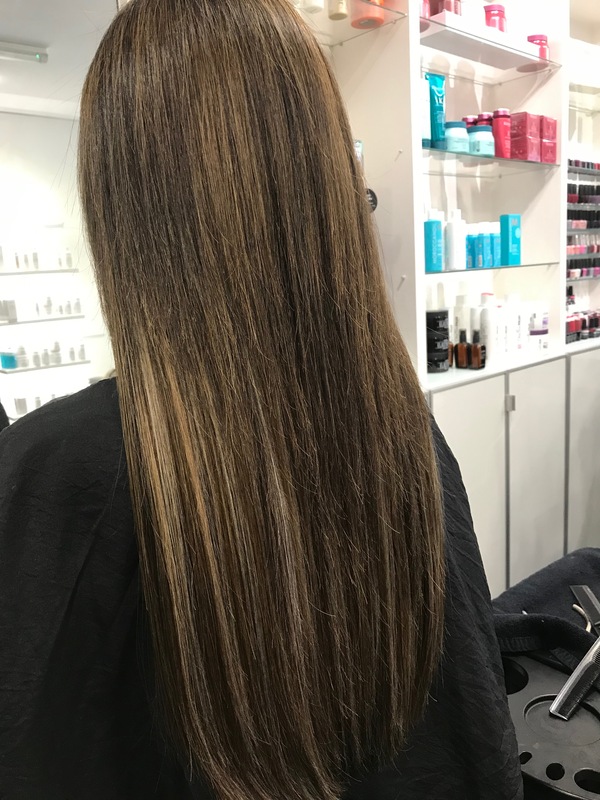 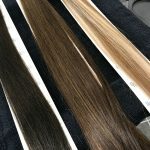 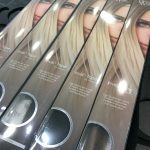 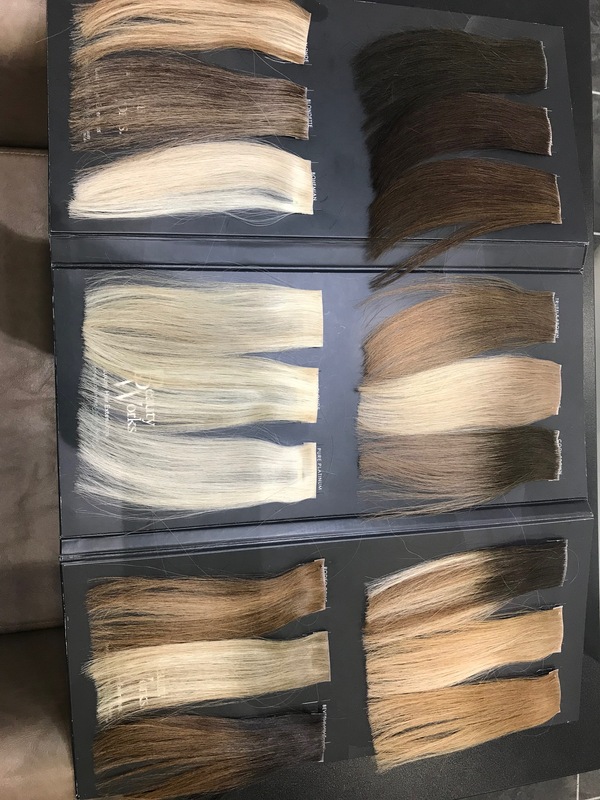 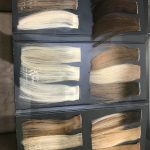 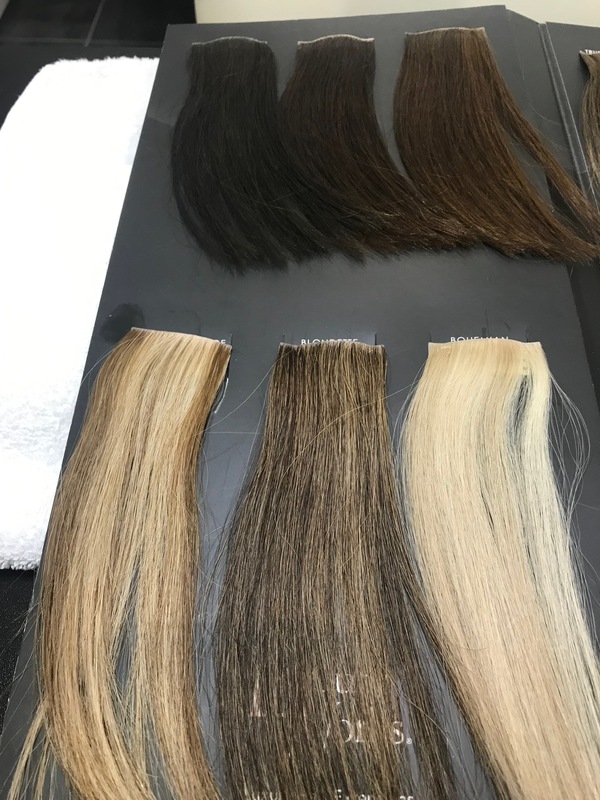 We stock all the colours in 18 inch so there’s no need for a consultation, just give us a call on 020 7722 1225 or send us an email at info@joshuaaltback.com. 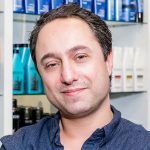 Joshua has been supplying hair care and beauty treatments to happy clients all over the country for over 25 years. 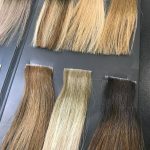 Through Joshua's hard work and determination, the Joshua Altback salon is known today as one of the UK's leading salons for hair extensions and is a go to location for those looking for the best hair cutting, styling and colouring services. 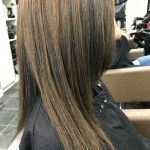 or 0207 586 2486 82 St John's Wood High St. 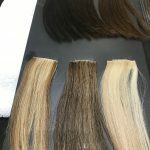 Hair Extensions are not just for long hair!